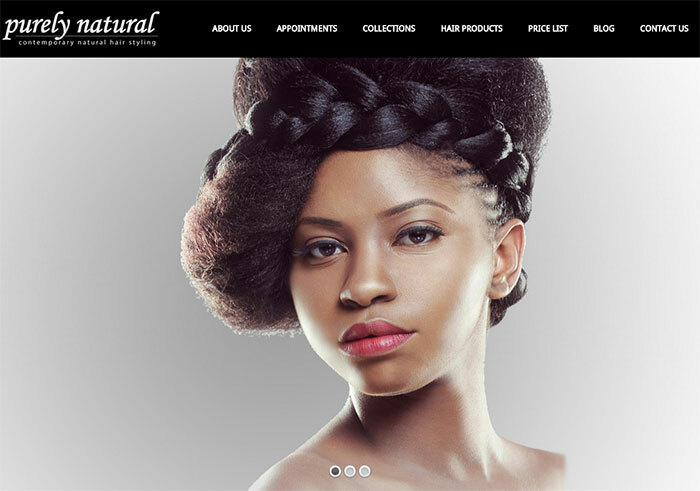 Purely Natural Contemporary natural Hair Salon is a multiple award winning salon, who specialists in Afro and Mixed Textured natural Hair. Purely natural have been providing first class services to the people of London and beyond since 1990, Styling some of the world’s celebrities and recreating fashionable styles for our customers, fashion shows and events. They ask us to build a funky, techno site to promote their business online and also dynamically received their clients appointments via website.